Click the icon to enter the S.H.A.R.E. catalog. Discover the next generation experience: Wisconsin Digital Library. 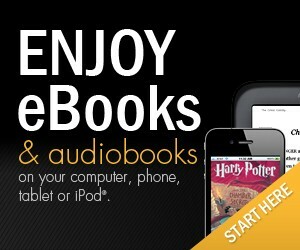 Enjoy ebooks and audiobooks on your computer, phone, tablet or iPad. Easy to use, no late fees and available 24/7. To log in remotely from home, click the SALEM ONLINE icon to the left and use grahampl as the remote passcode. BadgerLink is an online index to thousands of magazines and newspapers. Many of the articles are available in full text. It is a project of the Wisconsin Department of Public Instruction (DPI), Division for Libraries, Technology, and Community Learning. HeritageQuest Online offers genealogical information including a census search (complete set of Federal census images from 1790-1930, include name indexes for many years), books (20,000 family and local histories), the PERSI index (over 1.6 million genealogy and local history articles), and much more. HeritageQuest may be accessed from the BadgerLink home page. Graham Public Library has wi-fi access! Bring in your laptop and enjoy surfing the Internet from anywhere in the building. Our electrical outlets are limited, so charge your batteries before you come.